This is a complete text dump of a crucial part in Metal Gear Solid 2 (MGS2) last scenes. All of this text was dumped from the actual game, and is copyright by Konami. This intends to be an analysis to clarify some matters by exposing the main ideas from what I think are the original sources, and as an essay of the relationships I have found with other materials. Your browser must be divided in half. If this is not the case, please click here. The upper part has the text from the game, and on the bottom you can read my research, opinions and thoughts on what is happening, not plot-wise, but some insight on the matters discussed. You can start reading from any of them, since both are cross-linked. The links in this half will only affect the half in the bottom. If you would like to read a plot summary before reading this essay, I highly recommend this document: A complete plot summary & analysis of the Metal Gear series by Grant Morrissey. Be warned that both parts of the document contain spoilers from this point on, so be sure to play the game first. This dialogue happens just after finding Snake inside Arsenal Gear. Raiden received some strange messages from the Colonel and asks Otacon to find out his whereabouts..
Otacon: Raiden? About this Colonel of yours -- I found out where he is. Otacon: I've checked out all the possibilities, but I keep coming back to Arsenal. It isn't a relay point, it's the origin of the signal. And, the encryption protocol it uses is exactly the same as that of Arsenal's AI -- the so-called GW. Raiden: ...What the hell does this mean? Otacon: The Colonel probably isn't GW per se. through signal manipulation of your own nanomachines. Otacon: But it's probably the truth. The virus may be starting to affect GW, which would explain the Colonel's behavior. Raiden: Snake -- what's happening around here? Snake: I don't know. What I do know is that you're standing right here in front of me. Not an illusion -- flesh and blood. It's your call. You can drop this if you want. Colonel: Raiden! They've got Rose! Colonel: Rose is being held in the holds! Snake: Raiden, get a grip! Snake: It's a trap. Since the Colonel doesn't exist, there's no way he can take Rose hostage. Does Rose -- exist -- ? Snake: Don't jump to conclusions! Raiden: You and Otacon are the ones that say the Colonel never existed. Is this what Olga was talking about? Colonel: Raiden, are you receiving? We're (1) still here. Raiden: How's that possible!? The AI was destroyed! Colonel: To begin with -- we're not what you'd call -- human. A kind of consciousness formed layer by layer in the crucible of the White House. It's not unlike the way life started in the oceans four billion years ago. We are formless. We are the very discipline and morality that Americans invoke so often. How can anyone hope to eliminate us? As long as this nation exists, so will we. Raiden: Cut the crap! If you're immortal, why would you take away individual freedoms and censor the Net? Rose: Jack, don't be silly. Colonel: Don't you know that our plans have your interests -- not ours -- in mind? Rose: Jack, listen carefully like a good boy! Colonel: The mapping of the human genome was completed early this century. As a result, the evolutionary log of the human race lay open to us. Rose: We started with genetic engineering, and in the end, we succeeded in digitizing life itself. Colonel: But there are things not covered by genetic information. Human memories, ideas. Culture. History. Rose: Genes don't contain any record of human history. Colonel: Is it something that should not be passed on? Should that information be left at the mercy of nature? Colonel: A small percentage of the whole was selected and processed, then passed on. Not unlike genes, really. Rose: That's what history is, Jack. Colonel: Raiden, you seem to think that our plan is one of censorship. Raiden: Are you telling me it's not!? Rose: You're being silly! What we propose to do is not to control content, but to create context. Rose: Billions spent on new weapons in order to humanely murder other humans. Colonel: Rights of criminals are given more respect than the privacy of their victims. Rose: Although there are people suffering in poverty, huge donations are made to protect endangered species. Colonel: Be nice to other people. Rose: But beat out the competition! Colonel: "You're special." "Believe in yourself and you will succeed." Colonel: You exercise your right to "freedom" and this is the result. Rose: Everyone withdraws into their own small gated community, afraid of a larger forum. Colonel: The different cardinal truths neither clash nor mesh. Rose: Not even natural selection can take place here. The world is being engulfed in "truth." Colonel: And this is the way the world ends. Not with a bang, but a whimper. Rose: We're trying to stop that from happening. Colonel: It's our responsibility as rulers. to stimulate the evolution of the species. Raiden: And you think you're qualified to decide what's necessary and not!? retrieve valuable truths and even interpret their meaning for later generations? Rose: That's what it means to create context. Raiden: I'll decide for myself what to believe and what to pass on! Colonel: But is that even your own idea? Rose: Or something Snake told you? Colonel: That's the proof of your incompetence, right there. You lack the qualifications to exercise free will. Colonel: Is it? Would you prefer that someone else tell you? Alright then. Explain it to him. Rose: Jack, you're simply the best! And you got there all by yourself! Colonel: Oh, what happened? Do you feel lost? Why not try a bit of soul-searching? every time something goes wrong, you turn around and place the blame on something else. Rose: It's not my fault. It's not your fault. more convenient "truth" in order to make yourself feel better. Rose: ...leaving behind in an instant the so-called "truth" you once embraced. Colonel: Should someone like that be able to decide what is "truth"? Rose: Should someone like you even have the right to decide? Colonel: You've done nothing but abuse your freedom. Rose: You don't deserve to be free! Colonel: We're not the ones smothering the world. You are. -- a single person has the potential to ruin the world. Colonel: And the age of digitized communication has given even more power to the individual. Too much power for an immature species. Rose: Building a legacy involves figuring out what is wanted, and what needs to be done for that goal. All this, you used to struggle with. Now, we think for you. Colonel: We are your guardians after all. Raiden: You want to control human thought? Human behavior? Colonel: Of course. Anything can be quantified nowadays. That's what this exercise was designed to prove. Rose: You fell in love with me just as you were meant to, after all. Isn't that right, Jack? Colonel: Ocelot was not told the whole truth, to say the least. Rose: We rule an entire nation -- of what interest would a single soldier, no matter how able, be to us? Colonel: The S3 Plan does not stand for Solid Snake Simulation. Colonel: The S3 is a system for controlling human will and consciousness. S3 is not you, a soldier trained in the image of Solid Snake. that created a circumstance that made you what you are. Rose: So you see, we're the S3. Colonel: What you experienced was the final test of its effectiveness. You heard what President Johnson said. (President's Voice) "The Arsenal's 'GW' system is the key to their supremacy." The objective of this exercise was to establish such a method. Colonel: We used Shadow Moses as a paradigm for the exercise. Rose: I wonder if you would have preferred a fantasy setting? Colonel: We chose that backdrop because of its extreme circumstances. It was an optimal test for S3's crisis management capacity. it would be ready for any contingency. And now, we have our proof. Colonel: Raiden, there are also reasons behind your selection. Solidus raised plenty of other child soldiers. Do you know why we chose you over them? It was because you were the only one who refused to acknowledge the past. All the others remember what they were, and pay for it daily. Rose: But you turn your back on everything you don't like. You do whatever you like, see only the things you like, and for yourself alone. Colonel: Yes -- Rose can attest to that. Rose: You refused to see me for what I was. I lied to you, but I wanted to be caught. Rose: What? "Trying not to hurt me?" Dear, the one you were trying not to hurt was yourself! Avoiding the truth under the guise of "kindness" is all that you did! It occurred to you to do nothing but look out for yourself. Even if you claim that it was for my sake, that feeling was nowhere to be seen. In the end, everything was for your sake... I was never part of the picture. Colonel: Ha, ha, ha...exactly right. So you see, you're a perfect representative of the masses we need to protect. This is why we chose you. You accepted the fiction we've provided, obeyed our orders and did everything you were told to. The exercise is a resounding success. (Emma's Voice) "Didn't I tell you that GW was still incomplete? But not anymore, thanks to you." Your persona, experiences, triumphs and defeats are nothing but byproducts. The real objective was ensuring that we could generate and manipulate them. It's taken a lot of time and money, but it was well worth it considering the results. I think that's enough talk. It's time for the final exercise. (Olga's Voice) "If you die, my child dies. " The termination of vital signals from your nanomachines means the death of Olga's child. Not to mention the death of Rose. She's wired the same way. Raiden: Rose -- does she actually exist? Colonel: (Rose's Voice) "Of course I do, Jack! You have to beLIEve me!" Colonel: It will be a fight to the death. Rose: Solidus, at least, wants you dead. Colonel: We will collect the necessary data from this last fight, then we'll consider the exercise closed. Will it be Solidus, the Patriots' creation? 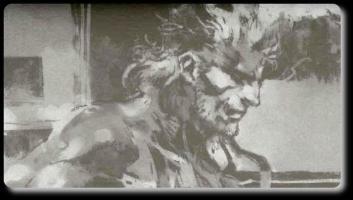 Or you -- Solidus' creation? Our beloved monsters -- enjoy yourselves. Colonel: Raiden, do you copy. You must continue your m-mission. Raiden: I've lost all my gear. I need to locate Snake. Colonel: He was never factored into the simulation. Leave him out of this. Raiden: I can't do much naked, especially in this temperature. Colonel: That's true -- you won't be able to attack or enter the Hanging mode, either. Raiden: I think Snake has my gear. Colonel: Raiden, take out Solidus and his men. You must recover Arsenal intact. Raiden: Colonel, are you under orders from the Patriots? Raiden: My role? Why do you keep saying that. Colonel: Why not? This is a type of role-playing game. The point is that you play out your part -- and I expect you to turn in a perfect performance! Raiden: Colonel, I just remembered something. That I've never met you in person. Not once. Colonel: Complete your mission according to the simulation! Raiden: Colonel, who are you? Colonel: No more questions. We have Rosemary. Raiden: What do you mean by that! Colonel: Raiden, turn the game console off right now! Raiden: What did you say? Colonel: The mission is a failure! Cut the power right now! Raiden: What's wrong with you? Rose: Don't worry, it's a game! It's a game just like usual. You'll ruin your eyes playing so close to the TV. Raiden: What are you talking about!? Colonel: Raiden, something happened to me last Thursday when I was driving home. I had a couple of miles to go -- I looked up and saw a glowing orange object in the sky, to the east! -- and when I came to, I was home. What do you think happened to me...?